This is my first book by Trigiani, even though I think I own almost every single one of her novels. After reading this one, I'm going to need to make reading them a priority. This is more of a biography/memoir of her two Italian grandmothers and the legacy they left her through their lives and the advice they passed down to her. 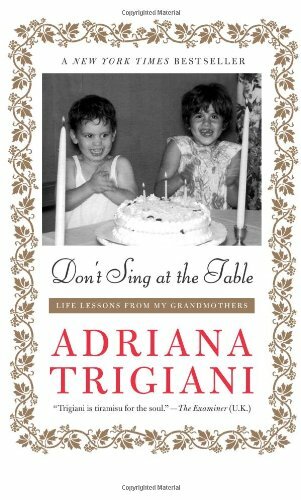 I really enjoyed the differences (and some similarities) between the advice given to Trigiani by her Italian Catholic grandmothers as opposed to what I learned growing up from my Southern Belle grandmothers. 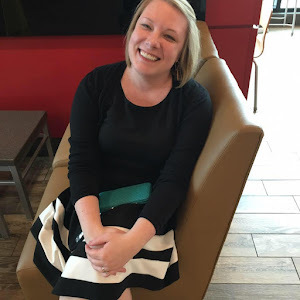 It was typical memoir writing - the point of the book wasn't that the writing was especially lyrical or literary, just that the author conveyed the lives and inspirations of her family, which she accomplished well. I do have to admit that as much as I enjoyed the book, I had a few nit-picky grammar moments, mostly related to subjects and verbs not agreeing. Not something that turned me off from the book, but just something that jumped out at my inner English major. I think this would probably make a good bedtime read. It's perfect for picking up and reading chapter by chapter. It's not a story that is unputdownable, but it's perfect for picking up and reading bit by bit as you have free moments. It's full of great stories about her grandmothers and the issues they dealt with as immigrants and widows, as well as full of fun tidbits of advice they shared. I definitely recommend picking it up and giving it a try. Check out the rest of the blogs on the TLC tour for this book. The less time I have to read, the more interested I am in books like this -- books that I can pick up and put down and not have to worry about remembering too many details! To be honest, I prefer the books that you can't put down. I guess that means I have a lot of free time to read? Anyway, I found your blog because I noticed that you're a fan of the Hunger Games. To lead up to the Hunger Games movie, I decided to do weekly chapter reviews of the Hunger Games. 27 chapters in 27 weeks. Ik kocht een paar Nike-schoenen voor mijn vriend in deze online winkel.goedkoop nike schoenen De kwaliteit is zeer goed, de stijl van sportschoenen is heel erg, het is zeer de moeite waard om te kopen,Kopieer nike air max 90 er zijn veel beroemde replica's van het merk van het merk, we zijn er zeker van dat het van hoge kwaliteit en uiterlijk is.